Candies are the favorite eatables of both young and adults. Candies are always in demand and the trend of candies change with the time. Customers demand new taste of candies with new style of packaging. Packaging is one of the reasons behind increasing demand of candies. Selling candies without appealing packaging is not an easy task not even to a child. The quality of candy plus the quality of its packaging is equally important to sell your products. Custom Candy Boxes are the ultimate solution for candy packaging. Customized candy boxes can really make a difference and increase visibility of your brand on shelves. You should not ignore the importance of quality material for your candy packaging. Don't compromise over the quality of your packaging material to save some cost. You can have stylish candies boxes and containers made of cardboard. It is not only cheap but ensures total protection for the candies. 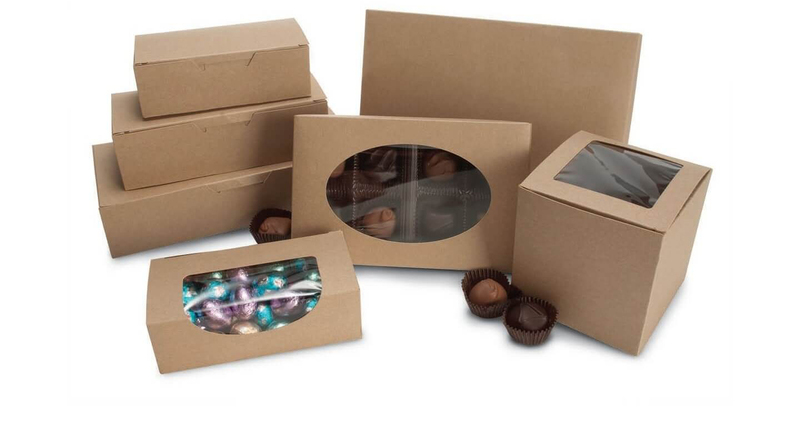 When it comes to durable and sustainable packaging, cardboard candy boxes are the ultimate choice. Customers prefer to but candies with durable and high-quality packaging. If you are a new brand or just a startup, you need packaging to make your brand identifiable and recognizable. You can design custom candy boxes with your brand name, logo and slogan. It increases the visibility of the brand. Also, customers will instantly recognize your brand on next purchase. Branded candy boxes can also act as a free marketing tool for your brand. It will give your product more exposure as compared to other ways. Custom boxes are the most economical solution for candy packaging as compared to other ways. The material of these boxes is really inexpensive and easily available. Cardboard, Kraft, corrugated and paperboard are some of the cheapest material for custom boxes. The light-weightiness of these boxes also help you to reduce your shipping and transportation cost. Moreover, if you go for eco-friendly material it helps you to save more. Customers will love to buy an affordable candy box. People are always attracted to something unique and custom boxes allow you to stand out with candy packaging. Custom candy boxes come in different size and shapes which are perfect to sell all kind of candies. Here are some of the features that a custom candy box should have. Candies are the items that need protection against moisture, heat and other environmental factors. Custom box packaging provided the needed protection and safety to candies. The material of the box keeps the inside product from any damage. Custom boxes offer the strong and sturdy packaging for your candies. Ensure the safe storage and delivery of your candies with strong custom boxes. The trend of custom candy boxes with the window is increasing with the time. Customers love to buy the products which are visible to them even before purchase. They feel convenient and comfortable in buying the packaging which shows them what they are actually buying. Not only your candies are visible but also it doubles the packaging. The demand for transparent packaging is increasing as it is unique and trendy. No matter how appealing and well-designed your packaging is, it will only be effective if it offers quality and functionality at the same time. Make sure to go for high-quality packaging which is not only eye-catching but also ensure the maximum protection. A perfect packaging is the combination of form and function. It will increase customer's loyalty towards your brand and ensure repeat purchase. No custom packaging is complete without the good use of colors, images, and graphics. These design elements play a key role in attracting customer's attention. You should design custom candy boxes with bright colors and funky images to attract young customers. To stand out in the competitive market, focus on the designing and printing of your candy packaging. It makes your product get easily noticed and increase your sales. You need to be unique and innovative with your candy packaging. Design your packaging in a unique way so you can stand out on shelves with custom candy boxes. Be innovative and creative as much as you can. Highlight the unique feature of your product on the packaging. You can also stand out with branded packaging. It is always good to select the shape and size of your packaging boxes according to your product. It will provide more flexibility and convenience during handling of the boxes. Always keep customer convenience in mind while designing custom candy boxes. The box should be easy to use, open and reseal. It should also provide good shelf stack-ability. The easier for the customer to use the packaging is the more good it is. Custom candy boxes can play an important role in increasing sale of your product is perfectly designed. It is an excellent opportunity to draw customers and capture their attention. The trends in candy packaging are always changing. We at Custom Packaging pro can design candy boxes according to events and desire of our customers.